In a world where the myth of Nutella as a health food has sadly been debunked, those of us with chocolate nut butter addictions who don’t want 21 grams of sugar per serving are left to get our fix elsewhere. And last month, we were celebrating when Bubble released the newest addition to our short healthy-Nutella-alternative list. It’s called Hella, and if early reviews and Instagram comments are anything to go by, it’s pretty good. It’s also impressively healthy: vegan, paleo, gluten-free, and with just 8 grams of sugar per serving. The butter’s three ingredients — hazelnut, coconut sugar, and cacao — are all organic and, according to Bubble’s website, sourced from sustainable farms in Italy, Indonesia, and Peru, respectively. They ship it straight from their own facilities, too, meaning there are no preservatives added to prolong the shelf life. 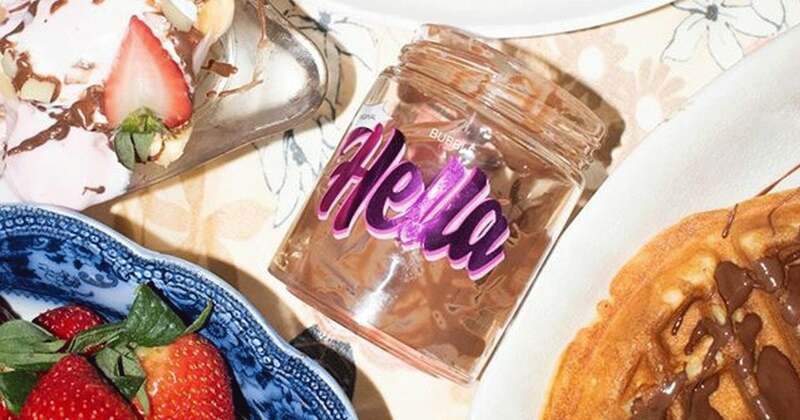 Hella is Bubble’s first in-house product; the website also a marketplace for other food and lifestyle brands. After its release in January, it sold out in just one week. If you missed out, it’s now restocked and available to buy ($9) from Bubble’s website. Pass me my nut butter spoon, please.